Steep yourself in the distinct, rich culture of ‘Tamil Country’ or Tamil Nadu – a classic, living civilization that has persisted for over two thousand years. 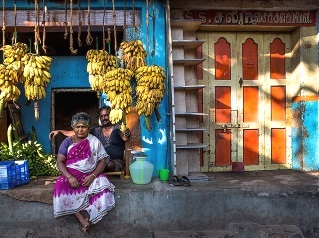 Explore the region’s stunning, intricately carved temples, the French colonial influenced Pondicherry and the once stately mansions and fiery cuisine of Chettinad. 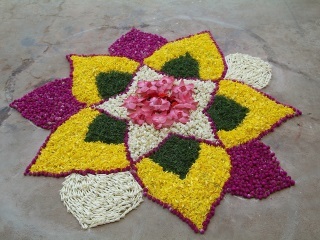 For travelers who have experienced Northern India, a visit to South India rewards with new delights. We believe that to travel responsibly, a portion of our tour cost should benefit the communities we visit. 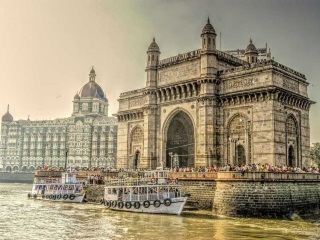 For this trip, our donation will go to a non-profit organization we support that is having a very positive impact in India: PATH, who has been working in India since 1978 with programs to improve health in the highest-need, hardest to reach areas. Depart home for Chennai. Note that due to time changes and airline routes, your flight may span more than one day. Upon arrival, be welcomed at the airport and transferred to your hotel for check-in. 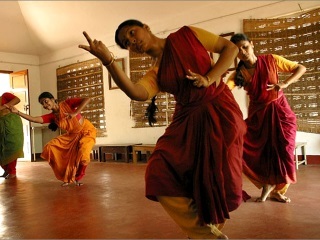 This morning, immerse yourself in traditional Indian dance as you watch the morning student prayer ritual at Kalakshetra, a dance training institution before classes begin. Enjoy a behind-the-scenes look at classes as the students begin their day of training. 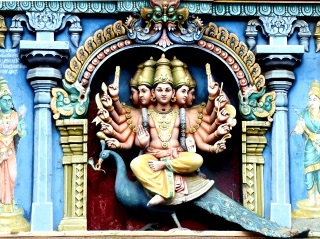 Spend the rest of the day discovering Chennai, including a stop at Kapaleshwar Temple dedicated to Lord Shiva. Wander through the evening Fruit Market, winding up at Marina beach, where you get your first view of the Bay of Bengal. Morning drive to Pondicherry. 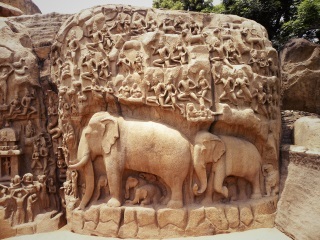 Along the way, stop at Mahabalipuram, the port for the Pallava kings in the 5th to 8th centuries. Along the shore lies a stunning series of rock-carved temples and sculptures dating back 1,200 years. Unlike many Hindu temples, the rocks show scenes of everyday life. Enjoy lunch at a popular vegetarian eatery and enjoy a Masala Dosa – a delicious South Indian treat and one of the top ten foods to try before you die, according to the Huffington Post! 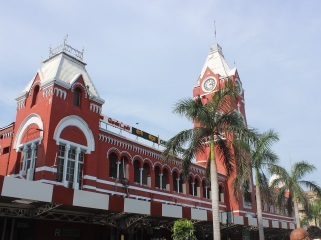 Arrive Pondicherry, check into your hotel. Rest of the day is at leisure. After breakfast, take a stroll down the French boulevard with your local guide – the Storyteller. As you walk through the French quarter, the storyteller immerses you in the history of what you see around, bringing the colonial period to life. While you’re out, be sure to stop at Baker’s Street, and meet the French baker who sells the most delicious cheese baguettes, quiches and freshly baked bread, as well as éclairs and fruit tarts. Rest of the day is free to visit the eclectic range of restaurants, ranging from traditional vegetarian to fusion ‘Pondicherry cuisine’. 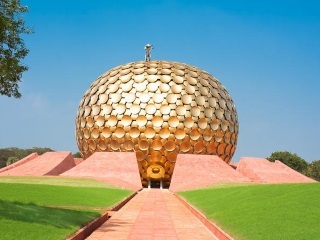 This morning, spend time visiting the unique settlement of Auroville, started in 1968 to create a community where human unity can be realized. Explore the visitor’s center and a few of the Auroville ‘green’ work units that use innovative methods to create products with paper, textiles, bamboo and stone. Enjoy lunch at the Solar kitchen and chat with the residents who come from around the world. The impressive meditation center, the Matri Mandir is only accessible for those who wish to meditate, with advanced permission. Return to Pondicherry, rest of the day at leisure. Your morning is free to relax. 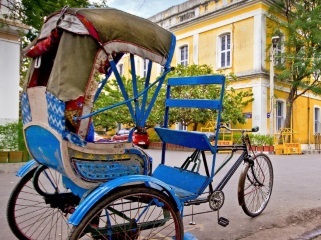 After lunch, walk through the streets of Pondicherry, passing through the French, Tamil and Ashram quarters and enjoy the uniquely diverse culture in Pondy, rooted deep within its stories, its fine architecture and friendly people. 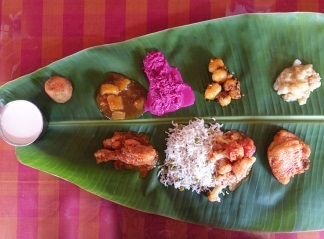 This cultural fusion is expressed exquisitely in the culinary landscape of Pondy. From local to European and Asian flavors, this quaint town has quite a bit to offer… spice up your Indian experience by savoring some delicious dishes from selected restaurants. Later visit a local family and get a taste of the Pondy lifestyle as you enjoy an evening coffee/tea and homemade snacks with the family. Today, drive to the unique area of Tamil Nadu known as Chettinadu (6 hours). 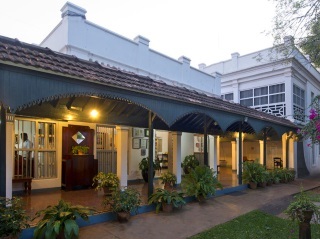 Arrive and check-in at your hotel – the first Heritage Hotel in Chettinad, built on a property that has been with the family for almost 100 years. Located in Karaikudi, in the heart of Chettinad, this is a family-run hotel that combines traditional Chettiar hospitality with modern amenities. Today, enjoy a heritage tour of the region with a local guide. Explore the elaborately decorated and unique features of Chettinad mansions, built in the 19th century. Take in the local market and visit a tile maker. This area is also famous for its culinary traditions. The local merchants have long been involved in the spice trade, which is reflected in the subtle flavoring of the food. 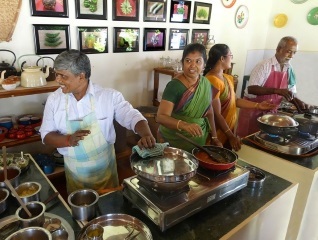 Sample this cuisine over lunch prepared by chefs from a community who have served Chettiar families for generations. Relax with a day on your own to explore the area. This evening, experience a cooking demonstration at your hotel, featuring Chettinar cuisine. The cooks use grinding stones to prepare regional spices, creating masalas to use in dishes like black-pepper chicken. After the demonstration, enjoy your dinner! This morning, head to a local village, where you will find a temple to Ayyanar – the protector of rural villages. His worship is thought to go back to ancient clan-based beliefs, linked to nature and fertility. 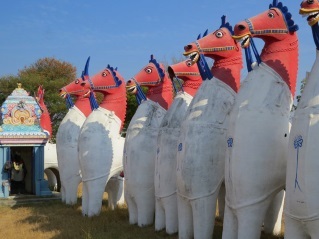 The way to the temple is lined with more than 1,000 terracotta horses, which are offerings to Ayyanar. After breakfast proceed to Madurai and check-into your hotel. After lunch at a local restaurant (not included), explore Thirumalai Nayak Palace, built in the 17th-century. Later in the evening, enjoy a special religious night ceremony at the Meenakshi Temple. The temple is a major pilgrimage destination for Hindus and is dedicated to Meenakshi Devi and Shiva. More than 3,000 years old, entering the temple takes you into a completely different world, where the ancient faith can be felt and experienced. Transfer to the airport for your flight to Chennai. Upon arrival transfer to an airport hotel and relax in your day room before your late-night transfer to the airport for your flight home. There is always more to discover in India! Extend your stay with a trip to Mumbai, explore Rajasthan through a music festival or immerse yourself in the National Parks in Madhya Pradesh to see more amazing wildlife!